A refreshing smoothie with the smooth consistency of avocado & the citrusy taste of lime. May sound like an odd combo, but this delicious smoothie comes with many health benefits. Avocados alone promote heart health, better skin, weight loss, and helps you avoid serious health problems such as diabetes and arthritis. Limes work as a natural detox – they help improve digestion, relief from constipation & urinary disorders…just to name a few. 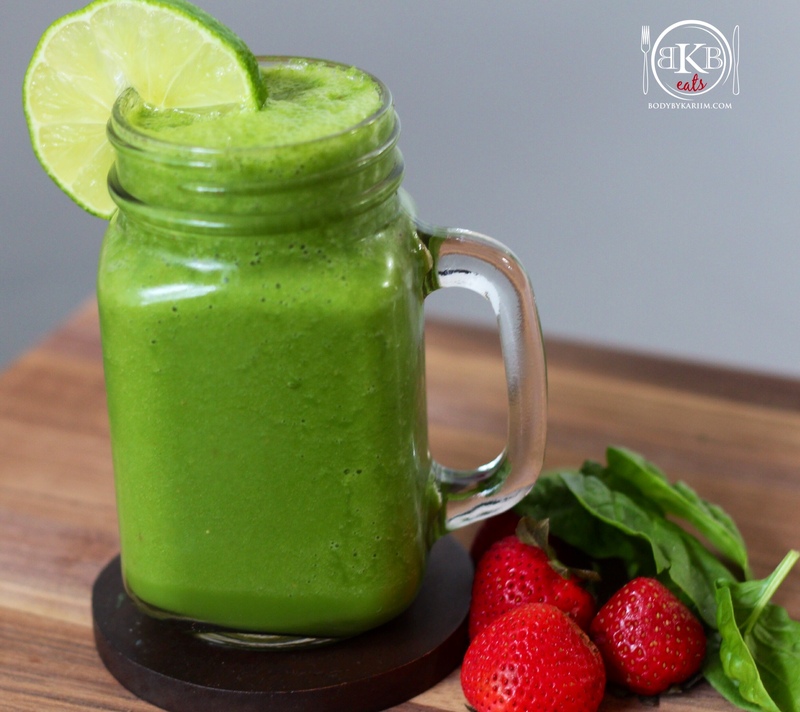 Adding the fiber from the Spinach and the antioxidants from the Strawberries- you’ve got yourself a SUPERFOOD SMOOTHIE! 1. Place ingredients in the blender adding Coconut Water last. 2. Liquify to your liking, Pour in a glass & Enjoy! 3. If you have extra- pour in a Mason jar and store in the refrigerator. This smoothie is great for Meal Prep/Snack. How much detoxing will I lose without the honey? Is there a substitute? You won’t lose much detoxing if you decide not to use the honey. The lime and spinach will still get the job done:) The smoothie is actually great without the honey if you don’t mind a sour bite. The honey can be completely optional.